Gold has not changed price since. 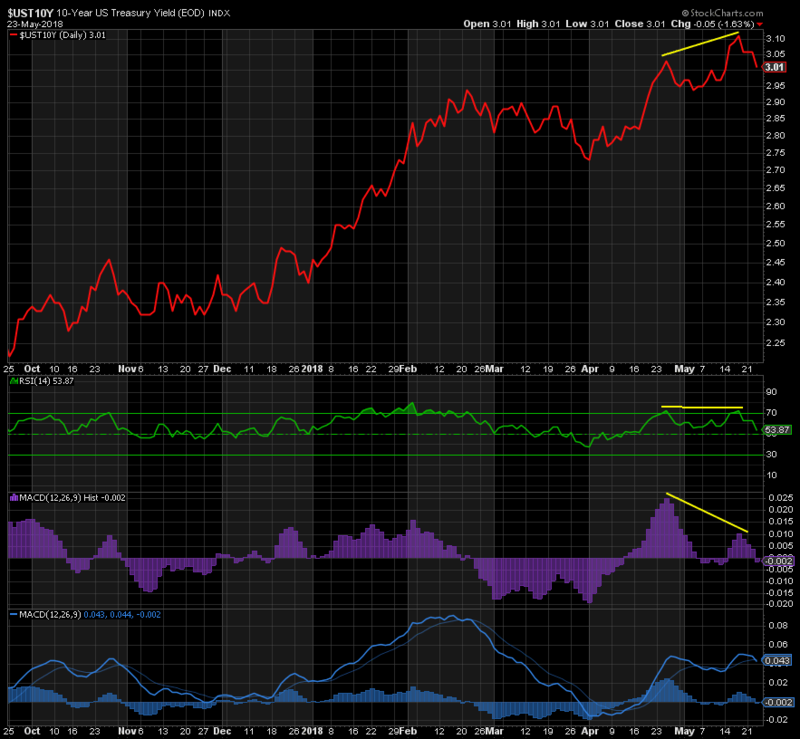 Positioning, sentiment, technicals, and EWT still support a significant rally. This week I want to address Fundamentals and Inter-Market Analysis. By Fundamentals, I am specifically referring to the Federal Reserve’s (“Fed”) monetary policies. The Fed is expected to raise interest rates another 0.25% at its next meeting on June 23. Gold has rallied after five of the last six rate hikes, and given the decline from 1369 to 1281 in recent weeks ahead of the next meeting (with the risk of a slightly lower low yet to come), plus all the signals pointing north for Gold, this will once again likely be the catalyst for the next rally. 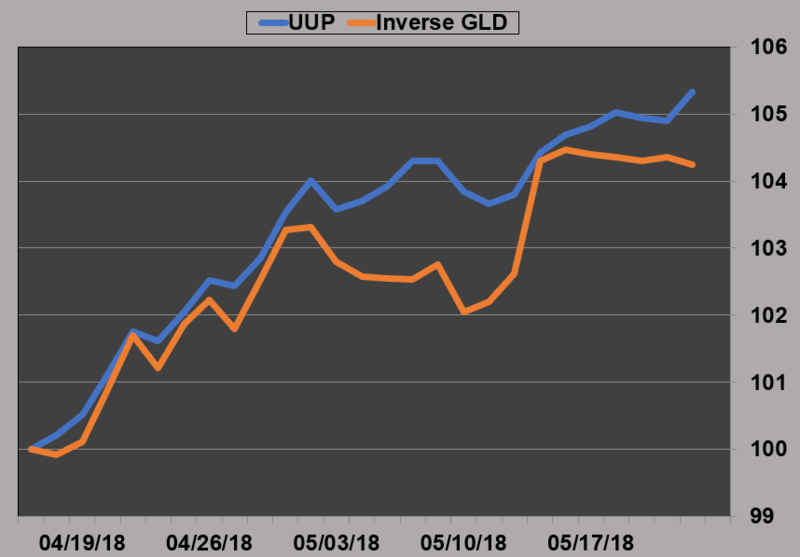 Inter-market analysis refers to determining the direction of Gold by trying to determine the direction of other assets with which it has a direct or inverse correlation with, such as the dollar index and the 10 year treasury bond (“10Y”) yield. 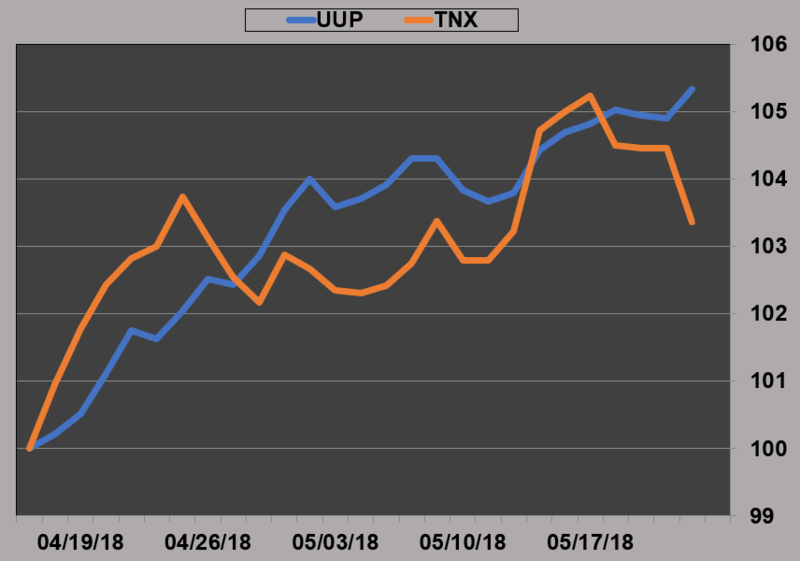 Since its trough on April 17, the dollar index, or DXY (“Dixie”), has had a very high positive correlation with the 10Y Bond Yield, meaning that higher bond yields are positive for the dollar, and lower bond yields are negative. Meanwhile, the DXY has also been highly correlated to Gold on an inverse basis, meaning that if the DXY rises, as it has, Gold likely falls. It’s no surprise then that the inverse correlation between the 10Y yield and Gold is also significant, and that higher yields mean lower Gold prices and vice-versa. Correlations come and go, but for now it is clear that the 10Y bond yield is a key driver for the DXY and even more so for Gold. 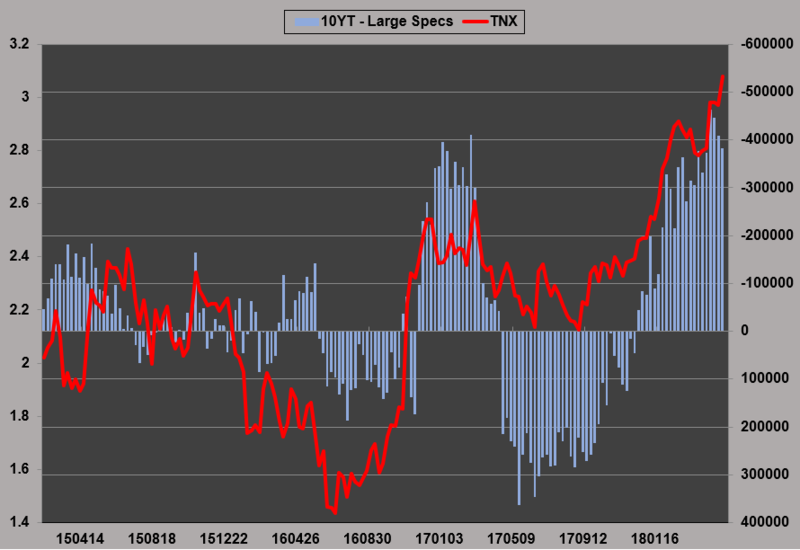 The reason I am sharing this with you is that the 10Y yield has risen dramatically in recent weeks to 3.11%, but Large Specs have already begun cutting their short position in 10Y Bonds. 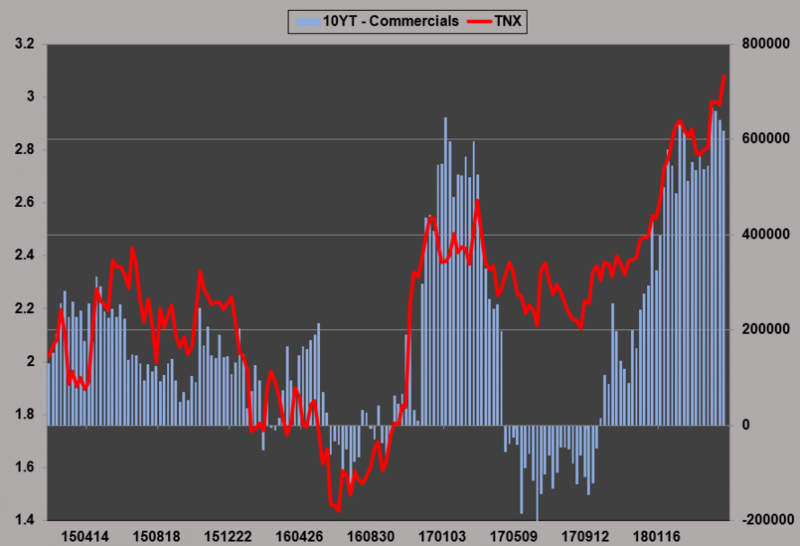 Commercials have also been cutting their long position, both from record levels, signaling higher prices and lower yields in the short term. The 10Y Bond’s DSI also bottomed at a positively divergent 15 on Thurs last. It has been rising ever since—now at 31—also indicating lower yields. Such divergences were also observed last Thurs from a technical perspective. Since hitting 3.11%, the 10Y has already started to fall and is now down to 2.99%. Using Fibonacci retracement levels based on the rise in the 10Y yield from a low of 2.73 to 3.11, a 61.8% retracement is 2.88%, and a 76.4% retracement is 2.82%. These are reasonable targets for the 10Y yield from here. 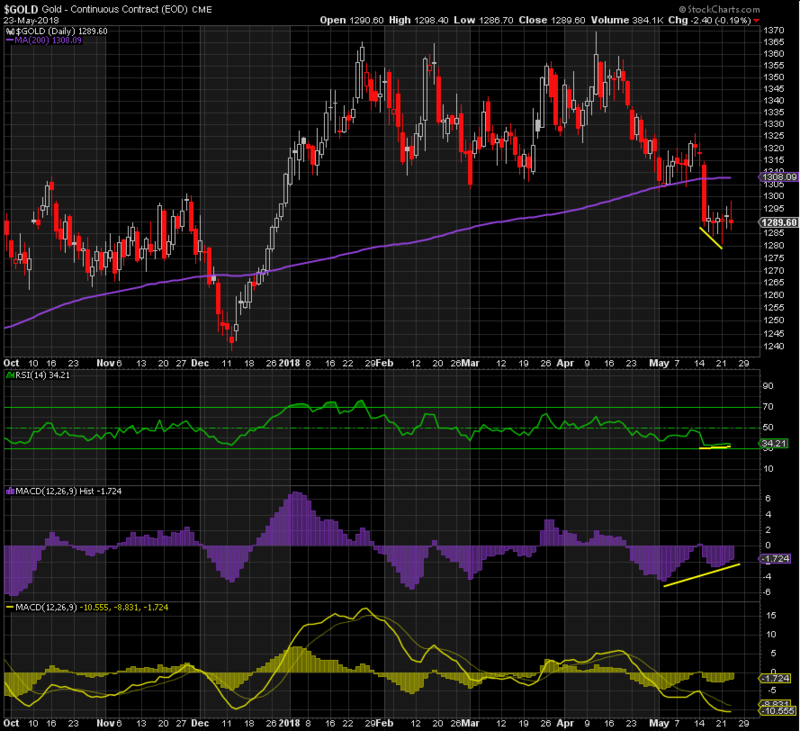 The DXY has also rallied from 88.94 to 94.11 so far. 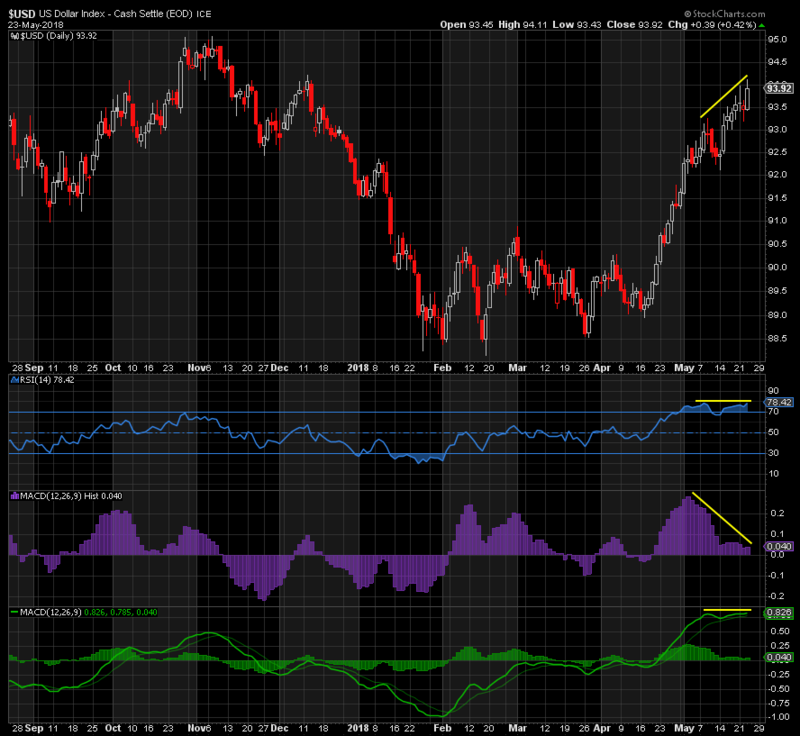 It could still go higher, but has shown multiple negative technical divergences recently. Its DSI has also topped out at 91 and has fallen back to 83, even as the DXY continued to rise—also negatively divergent. 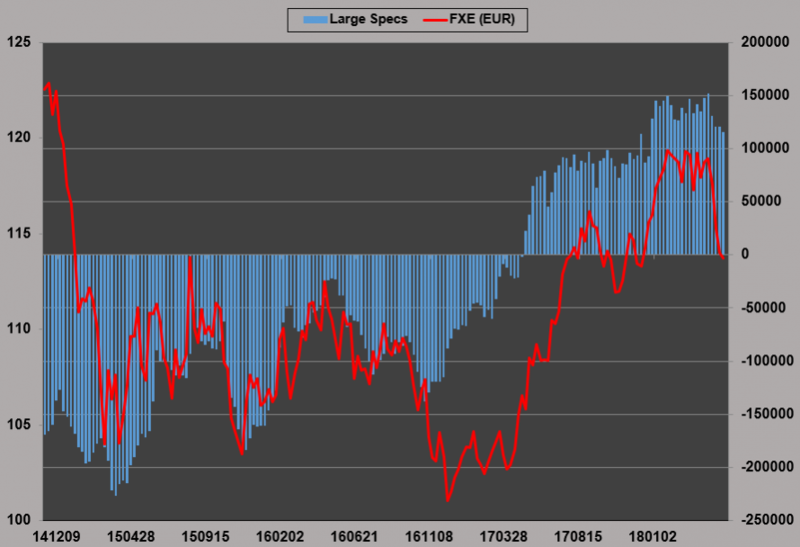 The only caveat is that short positions in the DXY (long EUR) on the futures market have been falling but remain high. They need to go lower to be confident that a peak in the DXY is close. We’ll know more about that on Friday. Suffice to say, if the 10Y yield continues to fall and its correlation with the DXY remains intact, the DXY is about to peak imminently. 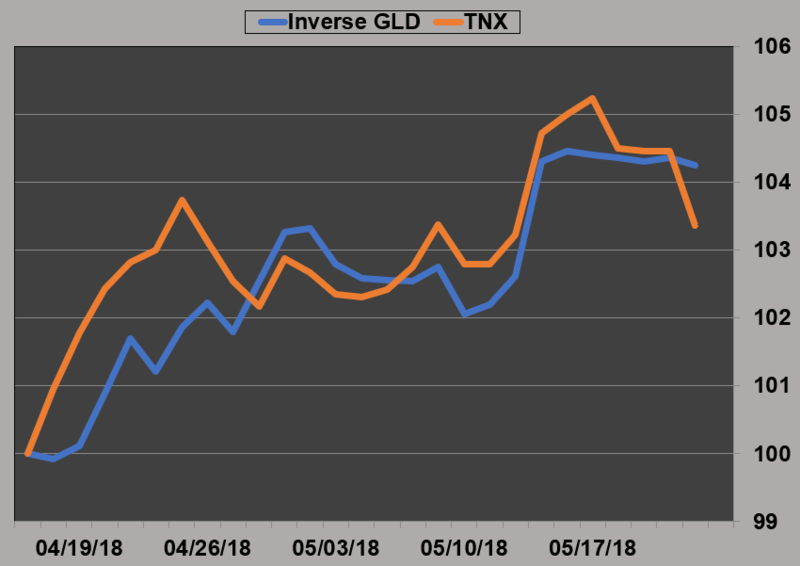 Given Gold’s inverse correlation to both the 10Y and the DXY, and given what we know about its positioning, sentiment, and technicals, after a significant decline from its peak of 1369, if the 10Y yield continues to fall and the DXY does peak and reverse too, it’s safe to say that this means Gold is about to begin its rally. In summary, everything points to a significant rally in Gold either before or immediately after the FOMC meeting on June 23. The only caveat that remains is positioning in the DXY and a higher than expected peak in the dollar.